With sleek style, the Viking French-door Designer model introduces frost-free professional performance to any contemporary kitchen. In-the-door dairy compartment with cover, premium water filter and a factory installed automatic ice maker are just a few of the features you'll enjoy. Freezer 5.5 cu. ft. / 0.16 cu. m.
Warranty 2 Years. 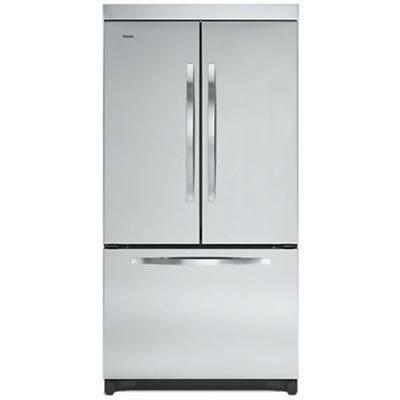 Six-year full warranty?sealed refrigeration system (includes compressor, condenser, dryer/strainer, evaporator, and connecting tubing); Twelve-year limited warranty?sealed refrigeration system; Ninety-day limited warranty?cosmetic parts such as glass, painted items, and decorative items.